Beats by Dr. Dre. They are the best quality headphones available in the market. They are obviously highly priced and have every reason to be. Beats headphones by Dr Dre have in no time taken over the market and have become synonymous with high quality audio and top of the range headphones. But everything that has pros has cons too. 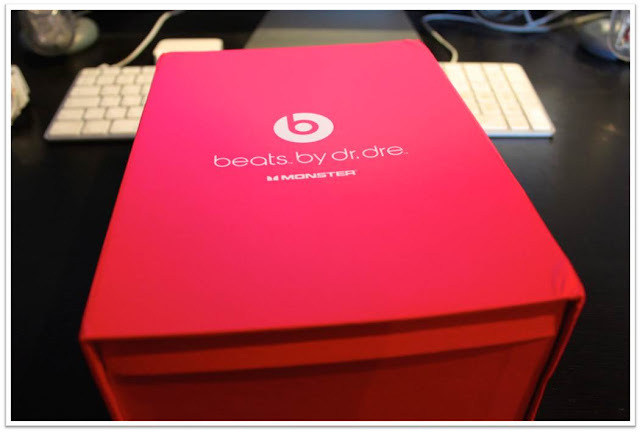 So here i am giving a full review on Beats Studio by Dr Dre, the good and the bad side of the product. The cloth is soft in touch and helps keep your headphones' shiny and glossy look last for a long time. So one doesn't have to worry about it getting smudged or dirty. This cable allows you to connect simultaneously to the headphones, an iPhone and the microphone in order to take and make phone calls. 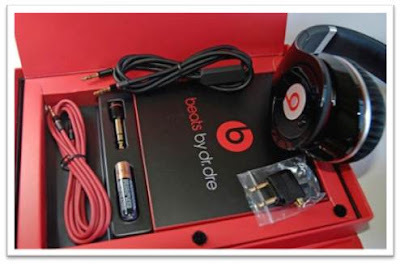 The Studio beats set includes two-pronged adapter and a ¼-inch adapter. Both adapters allow you to plug the headphones into a more powerful audio source such as a loudspeaker. The pouch/case that comes with the Beats can be used to fold and keep your Beats safely in them. The headphones also come with a 1-2 year warranty and a link to Monster product website for FAQs,manual,other queries etc. Studio Beats work on batteries.The batteries are already come placed inside the headphones.But if you ever run out of batteries, you need to purchase new ones. Beats cost you nearly $349.95 , which is apx Rs. 15,500. Studio Beats have a frequency response of 20 Hz to 20,000 Hz, this frequency is the full freq. range human ears can hear. They have a sensitivity of 110 dB. The headphones also have a noise-cancellation / mute feature. It can be activated by turning the switch on right earcup. True to the claims made by Dr. Dre the extraordinary clarity provided by the headphones, DOES make you realize that you had been missing something in your daily dose of music...its the minute beats and every other precise and minor rhythms that go unnoticed while we listen to music.. It makes it easy to pick out individual instruments and beats playing in the background,that we often miss out on. The bass provided by the headphones is the most appealing feature of the Studio Beats. They have a decent and booming bass, clear and earth-shattering The amount of bass is pretty high.They're equipped with Advanced motorist design for precise audio clarity,which makes the bass experience unique. These headphones seem to be best-suited to playing rap and hip-hop music, especially if you enjoy heavy bass in your songs. 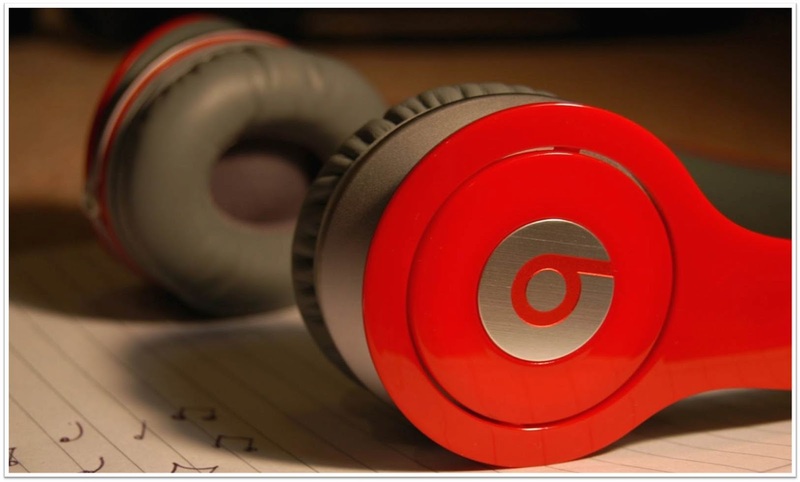 Beats have very soft and padded ear cups that fit perfectly and comfortably on your ears which feel very comfortable and light.The headphones can also be extended to any size you want to fit you by adjusting the extendable metal under the cover. The Beats Studios are extremely comfortable,light and secure around the head. They are also very portable and handy. They can be folded and packed neatly and safely put away. To some buyers, the headphones often end up being a huge disappointment The headphones are costly. In some people's opinion, Beats deserve to be sold only for $160 instead of 300. Buying Beats may not be really worth it if you don't want too much of bass. There are many other less costly and good quality headphones available in the market. But since, Beats are said to have been designed by the legendary rapper and producer Dr Dre,they are obviously overpriced,over marketed and expensive. Unfortunately, due to high bass quality and vibrations, the headphones have a sound leakage problem. Playing the music too loud leads to sound leakage and a bit of static noises and disturbances in the headphones. There's nothing one can do about it, since the headphones are loud in volume and have a booming quality. As mentioned earlier, the headphones work with the help of AAA Batteries. Beats are said to run out of batteries easily.The batteries may be too expensive and difficult to find in a shop nearby. With the high quality bass comes a lot of vibration. The loud sound production is a disgrace and there's a high amount of bass. The vibrations may also damage the headphones and driver. The bass sometimes overshadows mids and highs. All in all, the Beats Studio headphones are very ideal and the most attractive kind of headphones available out there. Having high quality headphones is important to many people, whether they are music addicts or musicians. The different model of beats seem to be everywhere these days. The Beats have a huge demand in the market. They are good looking and comfortable.I really appreciate the Studio headset.Besides being useful and reliable headphones, they are also a nice-looking treat to the eye. This is a guest post by Kunjika Singh. You can find her on Facebook.